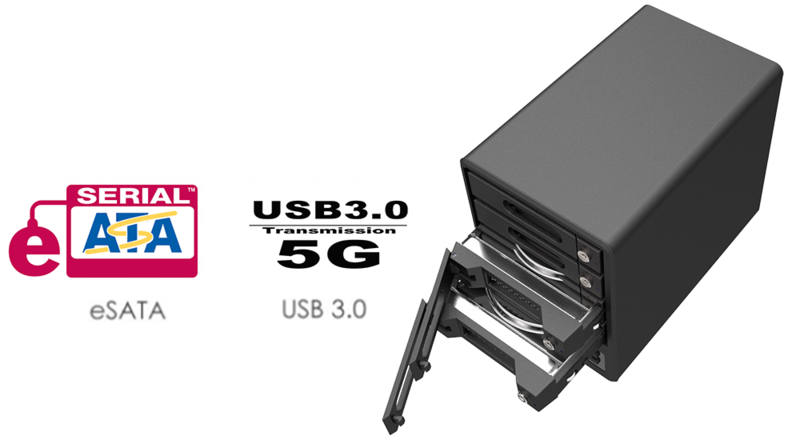 Embedded the latest interface USB3.0, GR5630 delivers the fastest data transfer rate in performance. 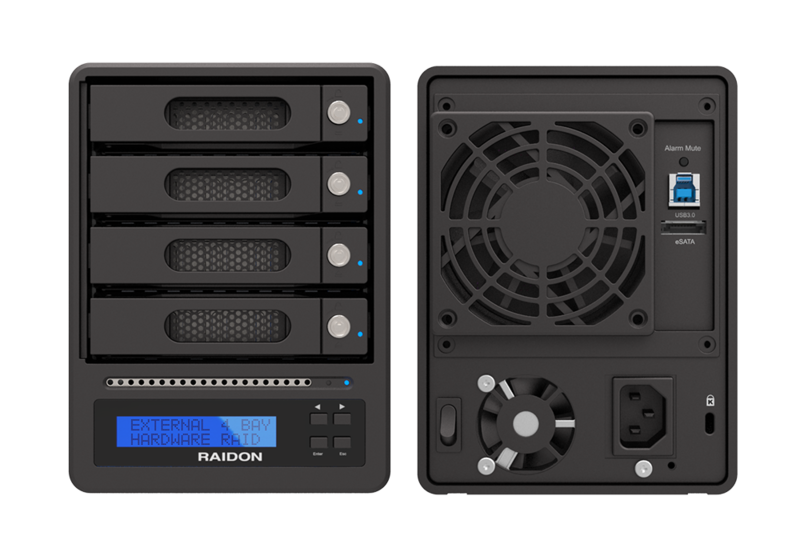 GR5630-SB3+ offers two host interfaces of Super-speed USB3.0/eSATA and the equipped LCM enables the convenience of configuration for a desired RAID level among JBOD / RAID 5 / RAID 0 by fully taking the advantage from the largest supporting capacity up to 40TB. 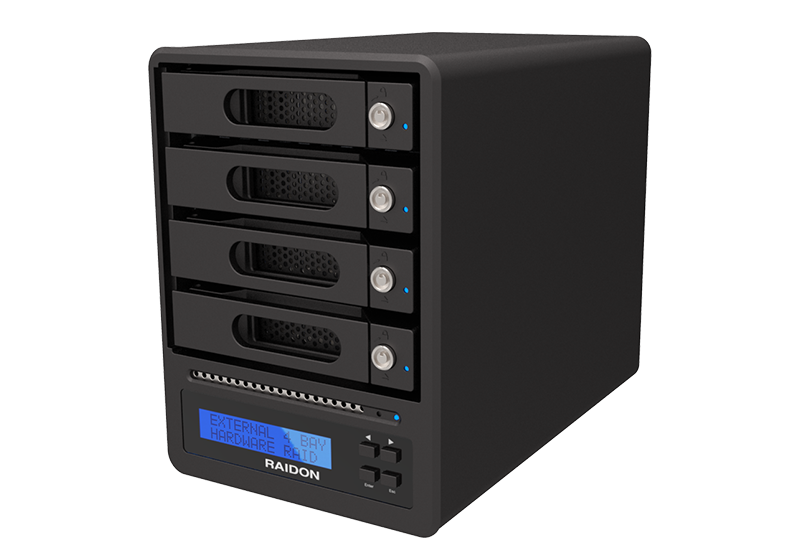 GR5630 is not only giving a big storage capacity, but delivering data security and performance to various applications and environments. 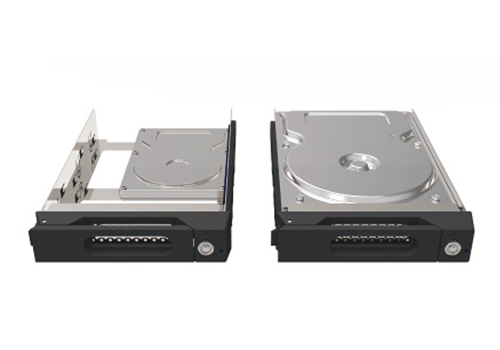 With USB3.0 / eSATA host inter- faces, GR5630 can be used both in PC and MAC environment flexible. 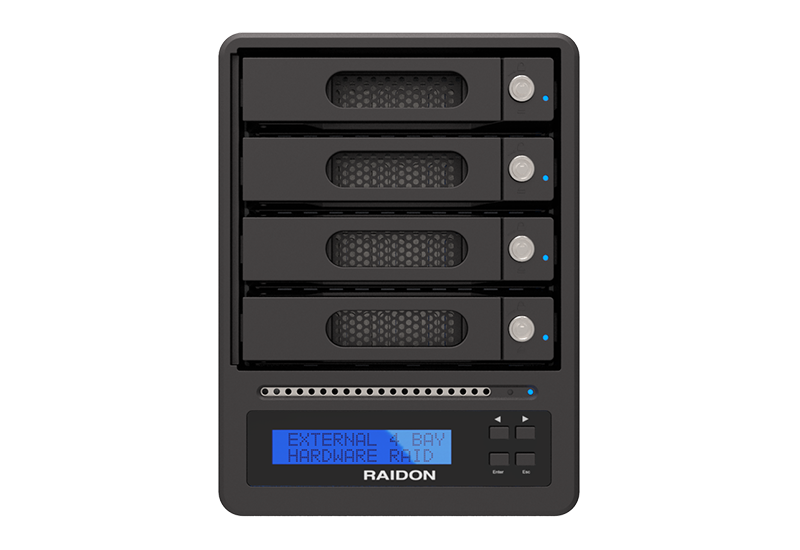 GR5630-SB3+ and S2F combination eSATA and FireWire 800 interface extends your storage, from your only FireWire Mac to connect to Non-FireWire device, S2F provides you a great flexibility to choose a good storage product from Raidon. 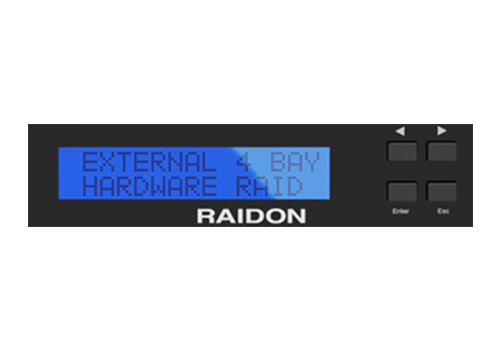 And also, S2F could not only connect to one Non-FireWire Raidon storage product but one more storage thru a second FireWire 800 port. 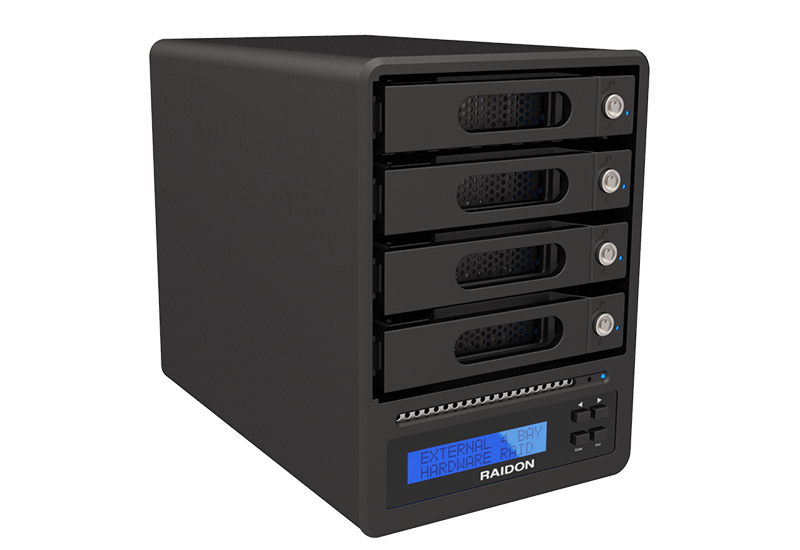 The GR5630-SB3+ is a quadruple drive storage enclosure system that supports the latest 3.5" and 2.5" SATA hard drives to deliver high- capacity data storage solutions. 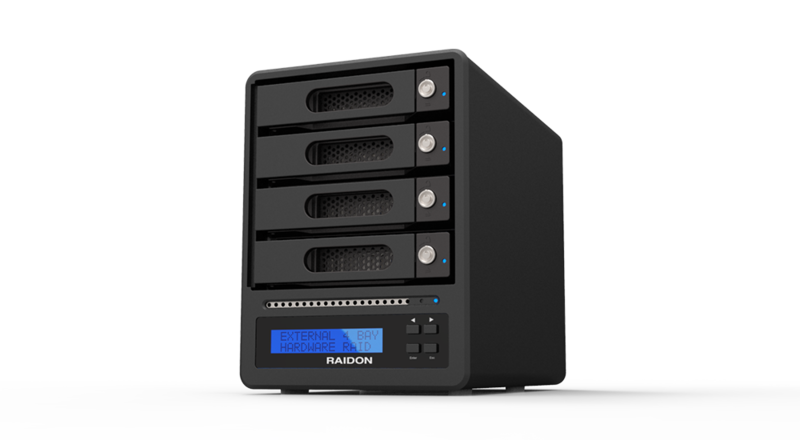 Featuring flawless structural design, optimized internal configuration, and a durable aluminum casing to protect your internal drives, the GR5630-SB3+ is perfect for creative and highly mobile professionals. Users can set up GR5630-SB3+ via the LCM and buttons on the front panel while clearly knowing the real-time status of GR5630-SB3+ from the LCM. 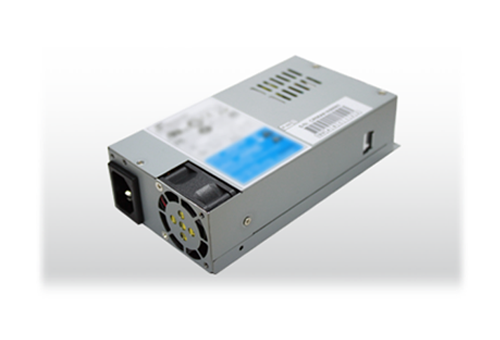 GR5630-SB3+ uses a full 250 watts and stable power supply. 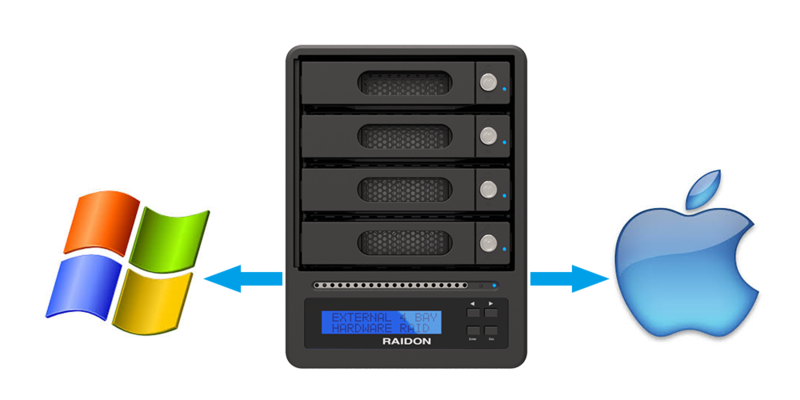 As the capacity of single HDD reaches 8TB, the power consumption of it also comes with higher requirement. 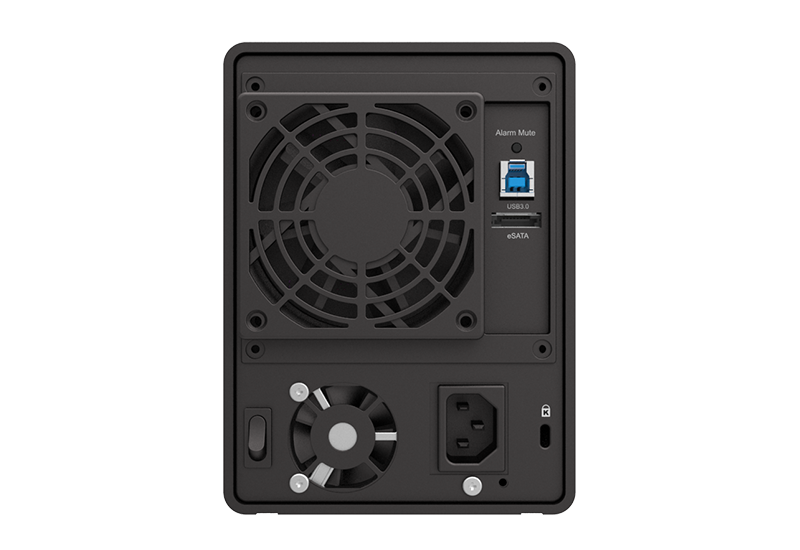 By using this power supply, users can be worriless about GR5630 for not working properly or unable to boot the HDD causing by lack of wattage. 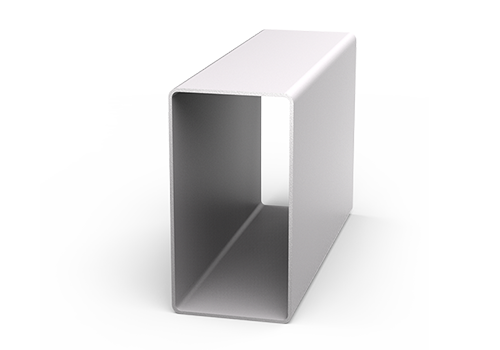 With 3mm thick Aluminum housing design, not only effectively assisting heat dissipation, but also provides a better physical protection from outer forces, even if moving GR5630 with four HDD installed there will be no concerns of excessive weight causing exterior deformation.